Eric the echidna lives in the hills behind the little town of Black Stump. Not much happens there, so Eric spends most of his days eating ants and watching superhero movies. He'd love to be a real-life hero, but given that the worst thing that happens in Black Stump is Mrs Bandicoot's son Stanley digging holes everywhere, there's not much opportunity for Eric to flex his superhero muscles. That is, until the Wombat Brothers gang comes to town! The dastardly wombats bully some youngsters and steal their ice-creams. Eric decides he needs to teach them a lesson so sets to work in his burrow. 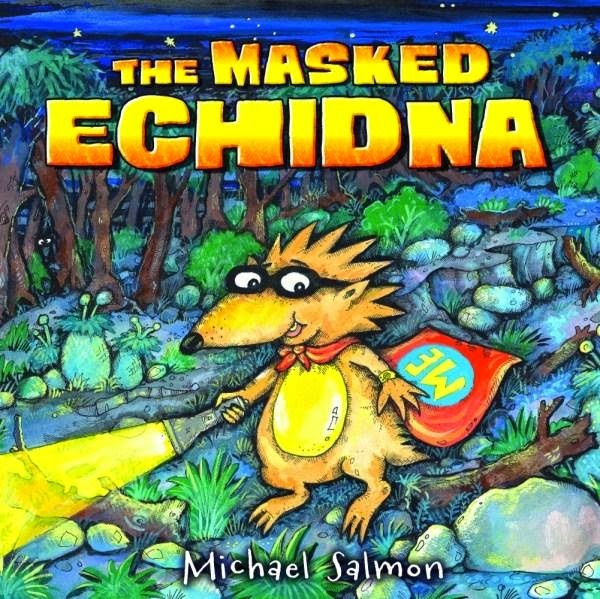 A few weeks later, there's a new superhero to guard the town: The Masked Echidna! Complete with Antmobile, of course. But what Eric doesn't realise is that every superhero needs a sidekick. And when the Wombat Brothers next attack, he'll need all his superhero smarts and bravery, plus a little outside help, to save the day! Michael Salmon is the author and illustrator of over 80 books for children, and is one of Australia's best-loved picture book creators. In Eric, he has given us a delightful Aussie crime-fighter who proves that heroes come in all shapes and sizes.